What’s in a name? A whole lot, if you’re an entrepreneur. Your company name is how consumers identify you. Many names become so popular that they become household names, like McDonald’s, Walmart and Target. When naming a company, some choices are more popular than others, and even if trademarked, they can still be duplicated by others. That was what recently happened in Florida, with two restaurant owners battling over the name Frenchy’s. On February 20, Frenchy’s Corporate, based in Clearwater Beach, filed a trademark infringement lawsuit against Frenchy’s Pizzeria & Tavern. The newly opened restaurant is located an hour away from Frenchy’s Corporate’s restaurants, in New Port Richey. Frenchy’s Corporate claims it has rights to the unregistered trademark FRENCHY’STM. Frenchy’s began operations in 1981 with its first restaurant, Frenchy’s Original Café. The company opened four more restaurants by 2013: Frenchy’s Rockaway Grill, Frenchy’s South Beach Café, Frenchy’s Saltwater Café and Frenchy’s Outpost Bar & Grill. All are located in Clearwater Beach except for the Outpost bar & Grill, which is located in Dunedin. Frenchy’s Corporate argues that for almost 40 years, it has consistently used the Frenchy’s name on all its restaurants, including associated businesses such as Frenchy’s Stone Crab in Palm Harbor. Frenchy’s restaurants are known for their excellent food service and tropical ambiance. Frenchy’s Pizzeria & Tavern opened in February. Before its grand opening, Frenchy’s Corporate sent the owners a cease and desist letter asking them to take down their website within 48 hours. The owners of the pizzeria did not comply, so Frenchy’s Corporate served Bluehost, a web hosting service, with the letter and was successful. The restaurant currently has no official website. The lawsuit was filed because Frenchy’s Pizzeria & Tavern is still in operation. The owners feel the name is justified, given that the last name of one of the co-owners is French. They have not yet responded to the lawsuit. Frenchy’s Corporate, however, does not have legal rights to the Frenchy’s name. There is no federal trademark for the name. 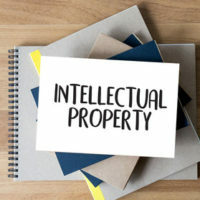 The company is suing for trademark infringement under the Lanham Act, which allows a lawsuit to be filed against a person or company when they use a word or term in commerce that creates false designation of origin or dilution. Frenchy’s Corporate is also suing Frenchy’s Pizzeria & Tavern for violating the Florida Deceptive and Unfair Trade Practices Act. Name and brand recognition is important to a company, and when another company steals the name or comes up with a similar one, it can create confusion among consumers. It increases competition and causes the original company to lose profits. As an entrepreneur, it’s crucial that you protect your business’ name and ideas. You can accomplish this with help from trademark and copyright lawyer B.F. Godfrey from Godfrey Legal. He has decades of experience in this area of law and can provide you with the protection you need. He can address your concerns and help you avoid costly mistakes. Give his office a call at (407) 890-0023 or contact him via the online form to schedule a consultation.